You don't have to sell your soul to be rich. Nor do you have to sacrifice your relationships in order to build wealth. You don't even have to scrimp and save! Sure, you can get wealthy that way - but it's no fun! Fabulously wealthy people have a much better strategy for having it all: money, harmonious relationships, the right connections, the right opportunities, and more. It's not so much that they do things differently; it's that they have a different psychology. Good ideas but I wonder if they are applicable? I have mixed feelings about this book. Yes, I guess he is right: if you make money your life's purpose, then you should attract it. But I would not want to be him, no matter how rich he is. I would hate to spend my life obsessing about real estate deals.there must be easier ways of making a fortune than this!. The first half of this book drove me crazy. He just waffled on and on and on without getting to the point of what his therapeutic method (a strict diet without gluten, dairy, sugar or alcohol) was all about. I hoped the second half was going to be better but I have given up without getting to the end. As someone who actually suffers from diabetes I know that it is not a trivial matter of changing your diet and it will all 'go away'. 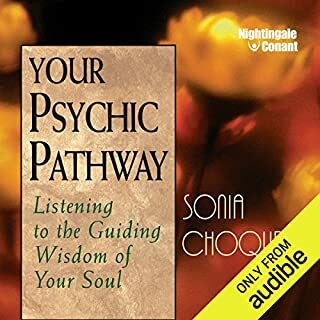 I found this book not only unhelpful but so negative in tone that it made me feel more anxious about what I put in my mouth than I think is healthy. If he has a point and people get better from his advie, then good luck to him and them. 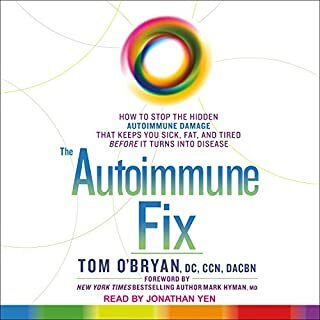 In my opinion there are better books available for example Dr Sarah Myhill's classic on chronic fatigue syndrome, which really does work, at least for me. This lady is convinced she has found it all. She really, really believes in herself and so she wants to remind you, at every step of the way, that she is great. Yes, she has had her difficult moments (haven't we all?) but she is really special. It is all 'I' this, 'I' that and, you know what 'I' really love myself. So would I recommend this New York Bestseller author's book to you? Who am I to judge? If you want to be like her, then maybe this book will help you. For me it was a waste of time and money. 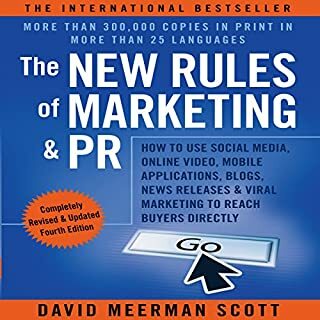 Would you consider the audio edition of The New Rules of Marketing and PR to be better than the print version? What about David Meerman Scott and Sean Pratt ’s performance did you like? He speaks well but I could have done without all the boasting at the beginning. Yes. My major fault with this audio book is the lack of detail concerning chapter headings. Calling them 'chapter 1', 'Chapter 2' and so on is no help to the listener. I need to know which chapters contain what information. After all this is a reference book and not a novel. 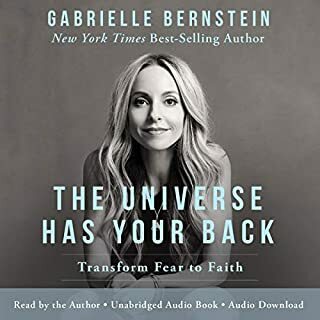 Drawing on his unique background in the spiritual underpinnings of success and personal fulfillment, Robert identifies specific principles for connecting with chi and the dramatic transformation it can bring. What's more, he links these principles with specific strategies and tactics for applying them every day. The Wisdom of Chi isn't a history lesson or a philosophy seminar. It's a clear-cut program for getting everything you want and deserve, with the basic energy of the universe as your personal power source! What did you like most about The Power of Chi? I liked the insight it gave me into certain aspects of ancient Chinese philosophy. However I was expecting more in the way of exercises to enhance my Chi. It seemed to be more about psychology than energy practices but then maybe I just don't understand enough. I also felt that the early chapters were better. The later ones seemed to be more in the way of waffle to fill space. 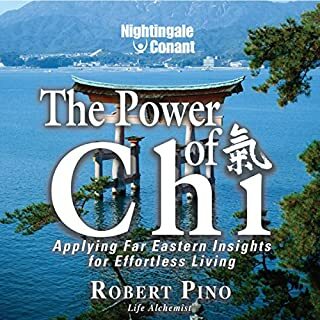 What other book might you compare The Power of Chi to, and why? I have books on Feng Shui and also I Ching. I guess it could compare with these. Have you listened to any of Robert Pino’s other performances? How does this one compare? Several but I don't remember where. This sumptuous book to accompany the major BBC TV series of the same name, is a glorious celebration of 50 years in front of the camera. For as long as most can remember, Whicker has roamed far and wide in search of the eccentric, the ludicrous and the socially-revealing aspects of everyday life as lived by some of the more colourful of the world's inhabitants. If you could sum up Journey of a Lifetime in three words, what would they be? 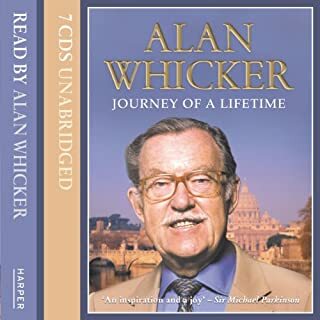 What about Alan Whicker’s performance did you like? He sounds tired as well he might be at his age. I am not convinced he should have read it himself. However his fans would no doubt disagree on this one. No, it is not for that. It is a book to dip into, chapter by chapter. Alan Whicker was a TV mega-star in his time. However times move on and many of his stories no longer resonate as they did when he wrote them. The world has moved on faster than he could have imagined and in a very short time. Thus his book is really a glimpse into the past, which may or may not interest the reader. Thin on plot, needed more meat. Possibly but he needs to learn from this one. His characterisation was weak, as was his protagonist. Not much action and little activity from the antagonist. In addition the plot was meagre, if intriguing. I would recommend more activity, more conflict and some love interest, There was none of this at all. 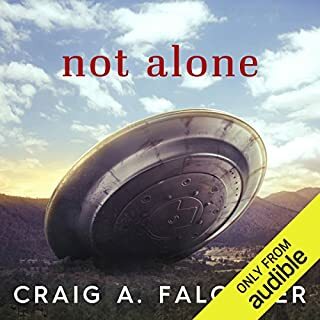 What was most disappointing about Craig A. Falconer’s story? It was so slow and almost nothing seemed to happen. We expect more action in Syfy and it should be less plain-sailing for the protagonist. He seemed to get his own way at every point even though he comes over as a wimp. That is not believable. At the beginning when his publicist introduces herself for the first time. She was undoubtedly his best character. Did Not Alone inspire you to do anything? I presume this is a self-published, first novel. It's a shame he didn't have a competent editor to advise him as the underlying idea for the book was good. It just needed more fleshing out, more action and better characterisation. A good editor could have advised on tis. If you are looking for a book on self-improvement, this is a waste of time. All the guy does is rant like a school teacher telling off naughty children. Waste of money. 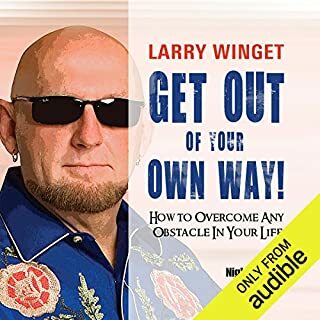 What could Larry Winget have done to make this a more enjoyable book for you? Who might you have cast as narrator instead of Larry Winget? Get a job Larry and don't pretend to be a guru. Are you willing to be wealthy? To your conscious mind, that may sound like a strange question. But deeply ingrained subconscious beliefs may be holding you back from what you consciously desire. When your thoughts are in conflict, your results will be inconsistent at best, and failure will tend to win out over success. 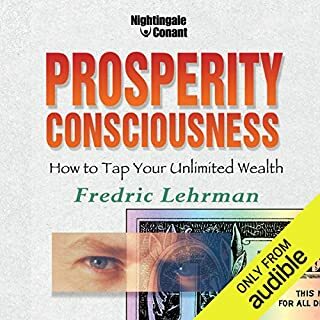 What made the experience of listening to Prosperity Consciousness the most enjoyable? There are many books on positive thinking, how to attract wealth and self-development. 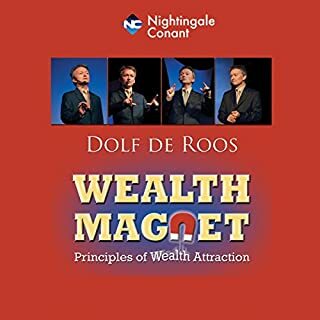 This title was not the usual vague advice from people who like to boast of their wealth. It was very practical in its methodology,. I am now going to try out the techniques he suggests. I am sure this will produce very positive results. Not that sort of book. What about Fredric Lehrman’s performance did you like? It was well narrated. Of course some of the banking ideas are a little dated in this world of internet banking. However that won't matter much. In fact it makes implementation of his advice on setting up multiple accounts, very much easier. It made me feel optimistic about the future. It helps me feel more positive that I can achieve my goals. One of the better titles from Nightingale-Conant.